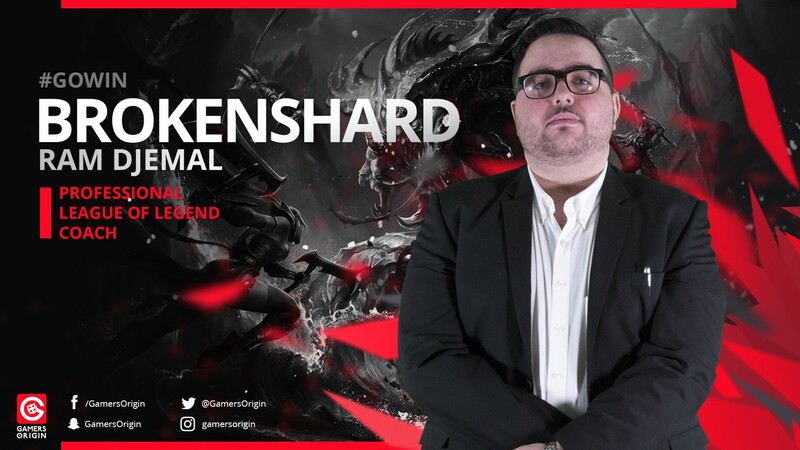 The League of Legends team welcomes a new coach: Ram “Brokenshard” Djemal, a true figure of the LoL scene for many years. As a jungler, he played for teams such as compLexity and Copenhagen Wolves. He competed in both LCS EU and NA. Then, he retired from the Rift who trained as a coach organizations such as RED Canids and eUnited. He achieved his greatest success with Dignitas with a victory in the 2015 DreamHack Valencia and a qualification for the LCS EU after the Challenger Series Summer Split. Because he qualified many times for LCS in Europe and North America as a player and as a coach, Ram “Brokenshard” Djemal knows how players can reach such a level. He will help our talents to improve both individually and collectively. His role as a coach is to choose picks and bans and to establish a strategy for the team and to set up training sessions, in order to lead it to victory in France and reach the European Masters. Brokenshard will start his work this weekend for the second LoL Open Tour competition, the 2018 Gamers Assembly #GOWIN. I’m very happy to sign with GamersOrigin for the rest of the 2018 season. I believe the roster is very capable and motivated to win. I have already been working with the team for over a week now, and coming off of our win in the ESL qualifier, we’re looking to have similar results in Gamers Assembly 2018. Coaching in France is going to be a very new and interesting adventure for me, since I have a French citizenship and my mother’s side is French. I hope you guys will cheer for us as we do our best to secure a European Masters slot. I am very happy and very excited to work with Brokenshard, who has a lot of international experience and a great expertise for the game. Our goal is clear: win the Open Tour and qualify for the European Masters. Ram is probably the most suitable person to help us and consolidate our place as number one in France.